? Add 1 Level 4 or lower "Dragunity" monster from your Deck to your hand.
? 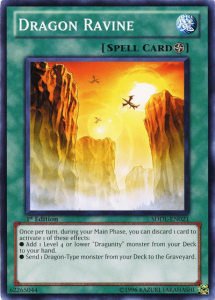 Send 1 Dragon-Type monster from your Deck to the Graveyard.